Omaha, NE (October 25, 2016) – Omaha’s Henry Doorly Zoo and Aquarium’s 2015 Economic Impact Study results reveal the economic impact to the City of Omaha to be $226.22 million. This includes $95.22 million in labor paid to an estimated 2,347 workers employed at either Omaha’s Henry Doorly Zoo and Aquarium or businesses throughout the Omaha economy. The additional economic activity in Omaha due to Omaha’s Zoo and Aquarium generates an additional $3.24 million in local sales, use and lodging tax revenues for Omaha. Study results reveal Omaha’s Henry Doorly Zoo and Aquarium’s economic impact to the State of Nebraska to be $189.54.46 million which includes $70.38 million in labor income. There was also a tax revenue impact of $8.74 million in state sales, use and lodging taxes. 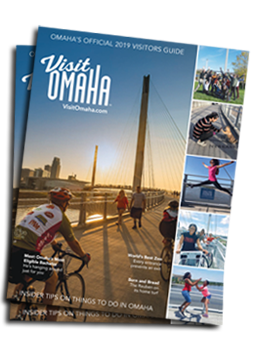 In 2015, 1.68 million people visited Omaha’s Henry Doorly Zoo and Aquarium. The entire study is available upon request. Jeremy Eddie, the Zoo’s CFO, will be available for interviews. The Economic Impact Study was conducted by Dr. Eric C. Thompson, the Director of the Bureau of Business Research and Associate Professor of Economics at the University of Nebraska-Lincoln. Dr. Thompson is the author on economic impact reports such as University of Nebraska-Lincoln Athletic Department and Nebraska Wineries and Grape Growers. Dr. Thompson was also the co-author of the Olympic Swim Trials and the NCAA Basketball and Volleyball Tournaments on the City of Omaha. Dr. Thompson’s research on the Nebraska and national economy examines competitive factors affecting state and local economic growth, the impact of infrastructure on the economy, and economic development. His research has appeared in the Journal of Regional Science, Regional Science and Urban Economics, and the Journal of Cultural Economics. Dr. Thompson served as the Co-Editor of the journal Growth and Change in 2003 and 2004. Dr. Thompson can be reached directly for comment. Omaha’s Henry Doorly Zoo and Aquarium is ranked one of the best zoos in the world by TripAdvisor and the top family friendly attraction by FamilyFun Magazine. Currently open daily from 9 a.m. to 5 p.m. Fall general admission prices are $17.95 for adults (12-64), $16.95 for seniors (64 and over) and $11.95 for children (3-11) through October 31. Spring, summer and winter pricing can be found on the Zoo’s website, OmahaZoo.com. Download the Zoo’s official mobile app for free on Apple’s App Store or Google Play.